If imams stopped citing the Quran and Islamic texts and teaching, they would stop exhorting to jihadi war and murder. This Swiss imam is practicing pure Islam, authentic Islam. How is this Swedish imam any different from the imams in California inciting to genocide, or imams calling for whole slaughter in Ramallah or Lahore or…? Once famed for cuckoo clocks and chocolate, Switzerland has clearly fallen into the mire along with the rest of Europe. The as-yet-unnamed imam allegedly called for non-practicing Muslims to be burned and killed in their homes during a sermon on October 21, 2016. He is also accused of sharing graphic depictions of killings on social media, and of breaching Switzerland’s Aliens Act, for working as a foreign national without a permit. Despite the seriousness of the charge, the public prosecutor said it would only be pressing for a suspended prison sentence and a 15-year ban on entering the country. AN ISLAMIC leader has been charged with inciting murder after allegedly calling for non-practising Muslims to be burned and killed in their homes. He is accused of calling for the murder of non-praying Muslims during a sermon on October 21, 2016. The city’s public prosecutor announced on Friday that the imam, who has not been named, was charged on August 2 with making public calls for crimes or acts of violence. The imam, originally from Ethiopia, was first arrested by Swiss police in November, following a raid on a mosque in Winterthur, Zurich. He is also accused of sharing graphic depictions of killings on social media, and of breaching Switzerland’s Aliens Act, for working as a foreign national without a permit.In a statement, the public prosecutor said it would be pressing for a suspended prison sentence and a 15-year ban on entering the country.The An’Nur mosque was raided by police in November following reports of the imam’s inflammatory sermon. It had been the subject of a number of police operations amid claims the place of worship was a front for radical Islamists.The mosque closed in June after the landlord refused to extend the lease.Three other people were arrested as part of the investigation. Two have since been released without charge while the investigation into third person is reportedly close to completion. In July a Muslim politician in Winterhur claimed the city had become a hotspot for radicalisation. 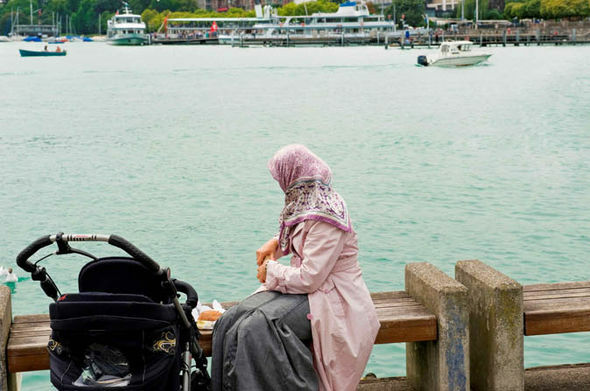 Blerim Bunjaku told Tribune de Genève that authorities were not doing enough to intergrate Muslims into Swiss culture, and that young children from Salafi families “see the West as an enemy”.